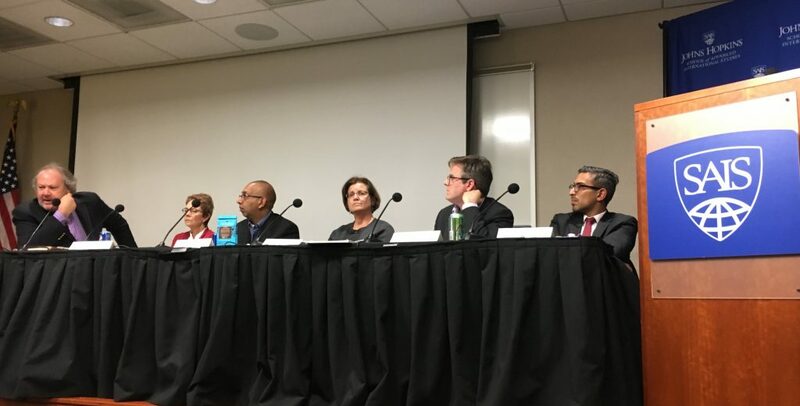 Last month, MSI Integrity, the John Hopkins School of Advanced International Studies (SAIS), the International Human Rights Clinic at Harvard Law School, and Miller & Chevalier hosted the panel discussion, “MSIs Then and Now: What’s at Stake?” (video link). The discussion was held at SAIS in Washington, D.C. and brought together MSI stakeholders, academics, and business and human rights experts to reflect on the role MSIs have played in the field of business and human rights over the past 20 years. The event also introduced the MSI Evaluation Tool, a comprehensive framework for analyzing MSI design developed by MSI Integrity and the International Human Rights Clinic at Harvard Law School. Following introductions from Nina Gardner from Johns Hopkins SAIS and Ben Collins from MSI Integrity, Arvind Ganesan from Human Rights Watch moderated a panel of five experts: Brian Finnegan from AFL-CIO, Bennett Freeman from the Global Network Initiative and Global Witness, Virginia Haufler from the University of Maryland, Amol Mehra from the International Corporate Accountability Roundtable, and Meg Roggensack from Georgetown Law School. We highly recommend watching the video of the panel discussion (1:26) and have included some of the comments and reflections from the discussion below. 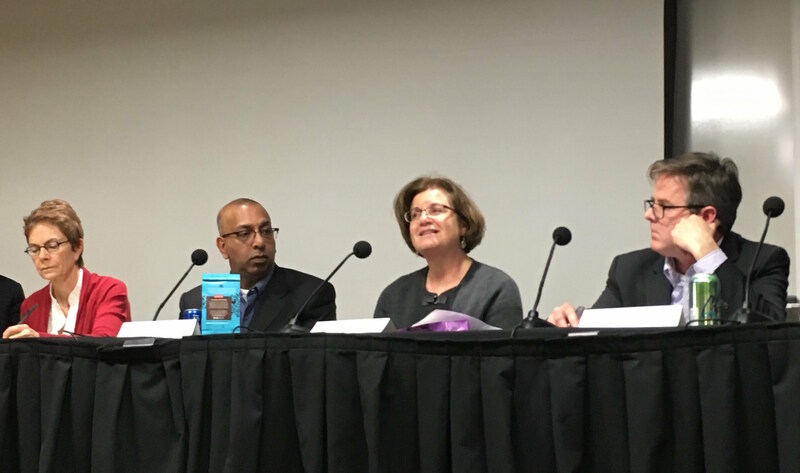 Lingering questions about the MSI field such as how MSIs relate to each other, whether they compete, and whether they drive standards up or down. Distinctions between MSIs that evolve and those that fail to do so, for many MSIs have changed to address stakeholder criticism and political or industry shifts while others have not. A perspective that MSIs are more relevant than ever given the current political climate in the US and for US companies, and that while they remain works in progress, they have made positive contributions to the cause of corporate accountability and human rights. The importance of trust for addressing complex governance challenges, whether through MSIs or other coalitions such as those working to end labor rights violations in Uzbekistan and Turkmenistan’s cotton industries. MSI Integrity is grateful for our panelists, sponsors, and hosts, without whom the event would not have been possible. We look forward to exploring some of the themes addressed by panelists through future discussions, debates, and workshops later in 2018 and in coming years. We also invite feedback and questions on the MSI Evaluation Tool from MSIs, their stakeholders, and others interested in learning more about its potential uses or with feedback on how it could be further improved. To submit comments or reflections on this panel discussion or the MSI Evaluation Tool, please contact us at info@msi-integrity.org.